Pirollo Design brings a new design aesthetic to contemporary furniture. Cutting edge designs bring excitement to modern living spaces. Traditional craftsmanship is combined with contemporary design to bring you unique, one of a kind furniture. Console tables, side tables, floor lamps and display cabinets can be designed and created. 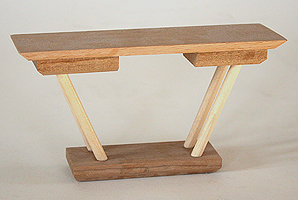 Console tables can be configured either as hall tables or as sofa console tables. Display cabinets are designed to showcase your prized collection or small art pieces. Once you have decided on an idea or image of a display cabinet, we work with you to develop the optimum sizing, interior layout, and select the woods to be used. With display cabinets, there is an emphasis on the exterior as well as the interior. Woods are hand selected and veneers are created in-house to provide the most appealing graphics. 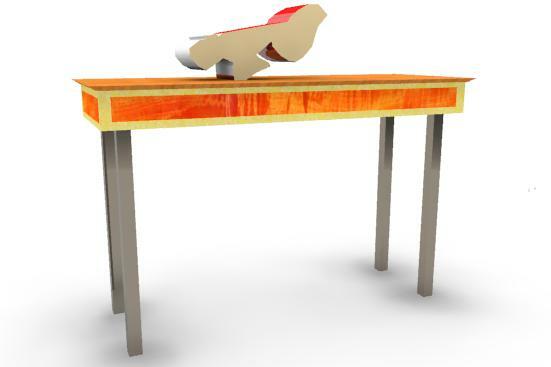 The furniture at the Pirollo Design web site can be used as a basis for new furniture designs. The furniture designs can be either one of a kind or small production editions. 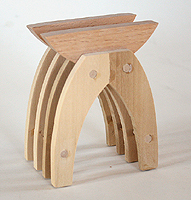 The furniture evolves from a preliminary sketch to either a prototype or completed piece of furniture. Designs are unique from one another. Design time is included in the pricing. This process ensures you are truly commissioning a one of a kind piece of furniture. Pricing is composed of material costs and build time for the piece. Most pieces are created over a 6-8 week period, which allows for initial design work. The commission stage involves creating a proposal after determining the effect you are trying to accomplish with the furniture. A proposal is then drafted, and if accepted, we proceed with a few sketches of the furniture piece. Upon acceptance of a sketch and drawing, a deposit is paid, with the balance due upon completion. A maquette of the design (miniature versions shown above) is created to have a more realistic view of the project. As well, the maquette is used to determine if the elements of the piece are in harmony, both in dimensions and structure. Any changes or design issues are addressed at this point and further iterations of the design are fleshed out until everything is in harmony. The design process also includes CAD renderings of the furniture for a more realistic 3-D view. The result is the desired piece of furniture. The woods used in the construction of the furniture piece are carefully selected and oriented to accentuate grain patterns. 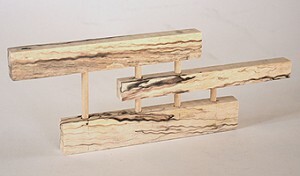 We strive to create harmony in the woods used in the furniture piece. Door panels are book-matched whenever possible to provide a striking, dramatic look to the cabinet facade. 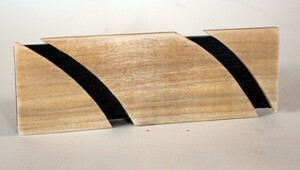 Small inlay can be added to enhance the piece. 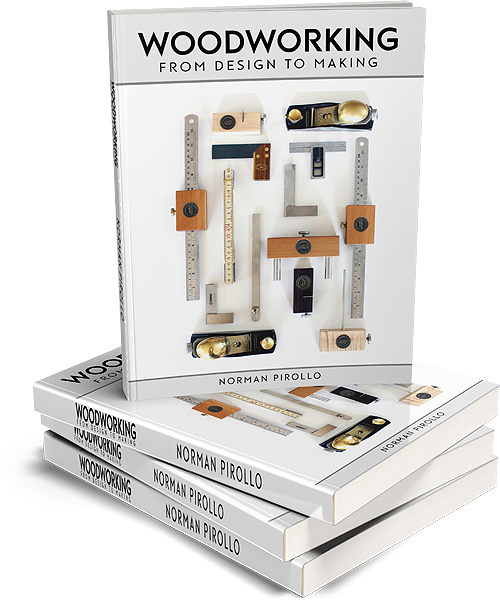 Pirollo Design provides a commitment to advance the art of furniture making by combining traditional craftsmanship with leading edge contemporary design.